In addition to the Payment methods discussed in the previous guide, there are various other setup options relating to payments within the commerce application. 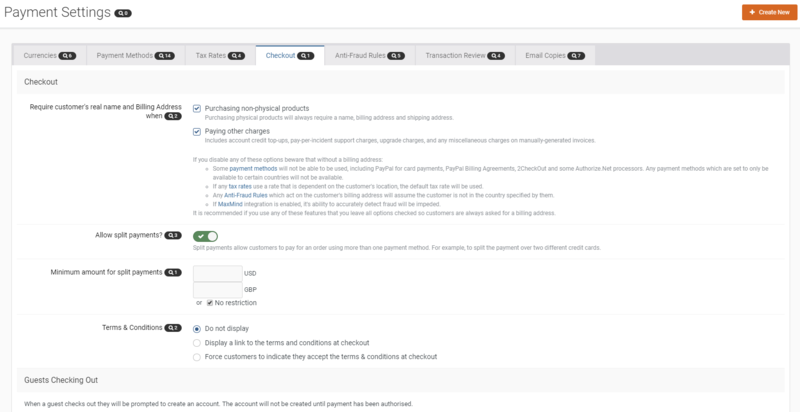 These can all be found within the Commerce>payments>Settings section of the Admin CP. Each of the tabs in this section are discussed below. From this tab you can set up various currencies that you plan to use within the commerce system. This will mean you can then add a price for more than one currency. You can add a new currency by selecting the "Add" button in the top right as shown in the image below, and then entering the relevant currency code in the list. You will also note than you can select one default. This is the currency that will first be shown to the user. Tax is one of the things that Im sure many of us hate doing, however these days is a necessary and sometimes legal requirement. In the tax rates tab you will see a list of all tax rates which are currently set up on the system. You can create a new tax rate using the "Create New" button. Once adding a new tax rate, you will be presented with a couple of tabs which you can fill in with the relevant detail. The first tab (Settings) will allow you to enter a name for the tab, along with a default tax rate which will be used if none of the rates in the second (Rates) tab apply. 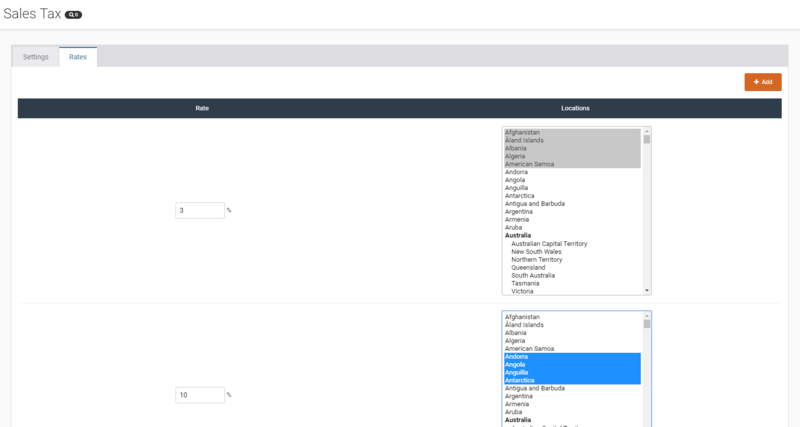 The Rates tab will allow you to set up tax rates for different locations around the globe. You will see I have set up rates for the UK and Armenia below. You can add more using the "Add" button in the top right. The Anti-Fraud Rules tab will allow you to set up certain conditions whereby you would want to review a payment, or even refuse it altogether. You will see them in a list here and can add a new one with the "Create New" button. Once adding a new fraud rule, the first tab (Rule Settings) is where you will set the name of your rule, along with the type of rule this is, or "Action to take" when that rule is hit. This may be to automatically approve the transaction, hold it so you can review it, or even refuse it altogether. The latter 2 tabs are where you will then set the criteria that will trigger this rule. From the Transaction tab you can set the trigger by value, payment method, whether a coupon is used, or even a mixture of these. The custom tab will then allow you to set rules relating to the customer location, email address or based on previous purchases of fraud rules. From the transaction review tab you can set up the system to automatically create a support ticket when an Anti Fraud trigger is hit. This will allow you to communicate with the customer on a 1 to 1 bases regarding the outcome. You may also use one of the stock actions in the support area to send a message to the user instantly. You can see more on the support area within the "Support Requests in Commerce" guide. The email copies tab will allow you to set up email addresses that will receive copies of the selected documentation from commerce when a customer receives them.